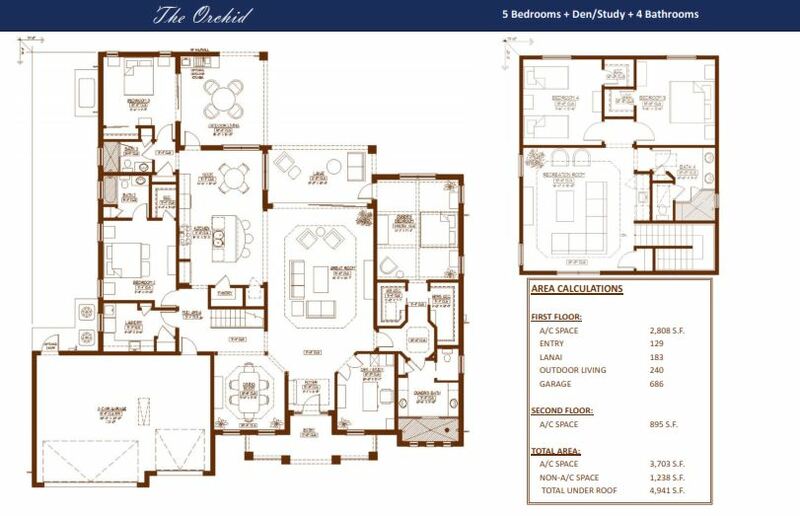 The Orchid at Kenilworth is a stunning new custom home located West of the Trail in Sarasota. Stunning custom home in the coveted West of Trail area of Sarasota. 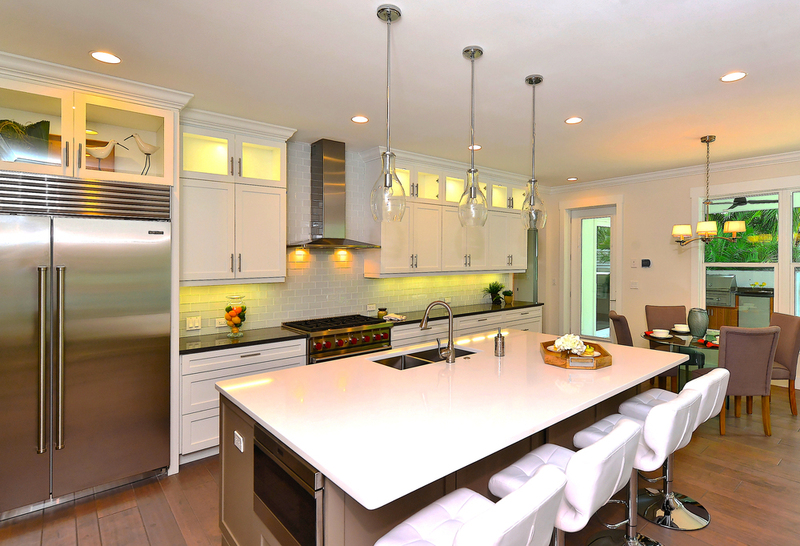 This striking home delivers clean, sophisticated lines and the highest level of interior finishes. The Orchid welcomes guests into a spacious great room with a wide vista of the sparkling pool and tropical landscaping through the 16' sliding glass doors. 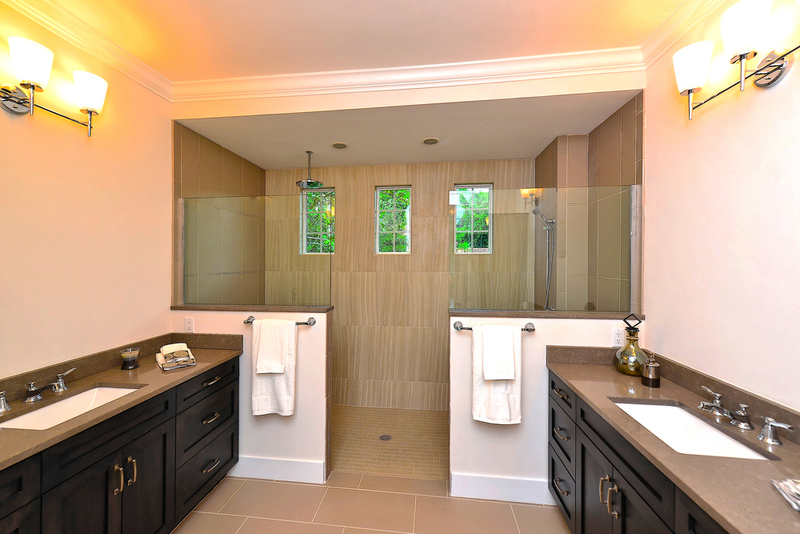 The Owners' Suite features a formal entry vestibule, vaulted ceiling with decorative beams, spacious bathroom with split his and her vanities, dual showers with both rain and hand-held heads and his and her walk-in closets. An open kitchen with built-in stainless steel appliances and hood, full height backsplash, designer faucet and walk-in pantry, accessed through a custom barn door, await. Two guest bedrooms, one en-suite, are located on the first level. The second level is ideal for entertaining and accommodating family and guests, with its spacious bonus room complemented by a wet bar, with ice maker, sink and refrigerator, and two guest bedrooms. The home's southern exposure provides ample light and warmth to the breathtaking lagoon pool, deck and lush landscaping. 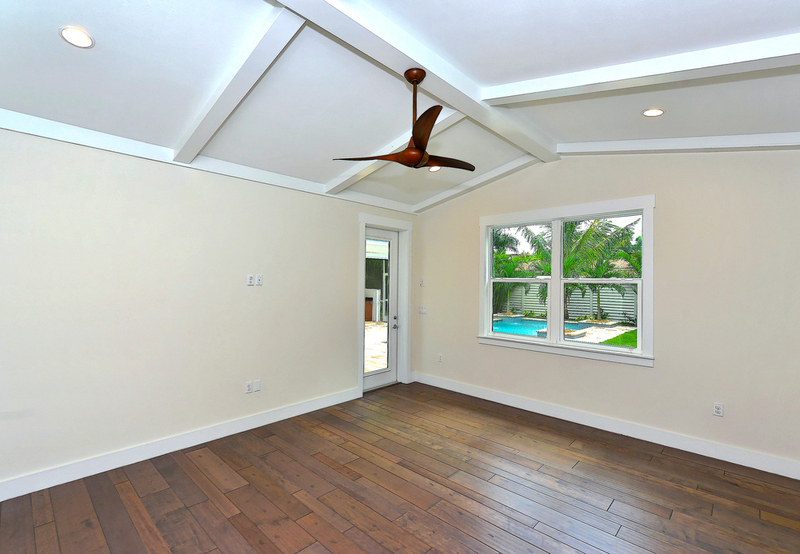 A tasteful mix of rich hardwood floors and porcelain tile throughout the home. 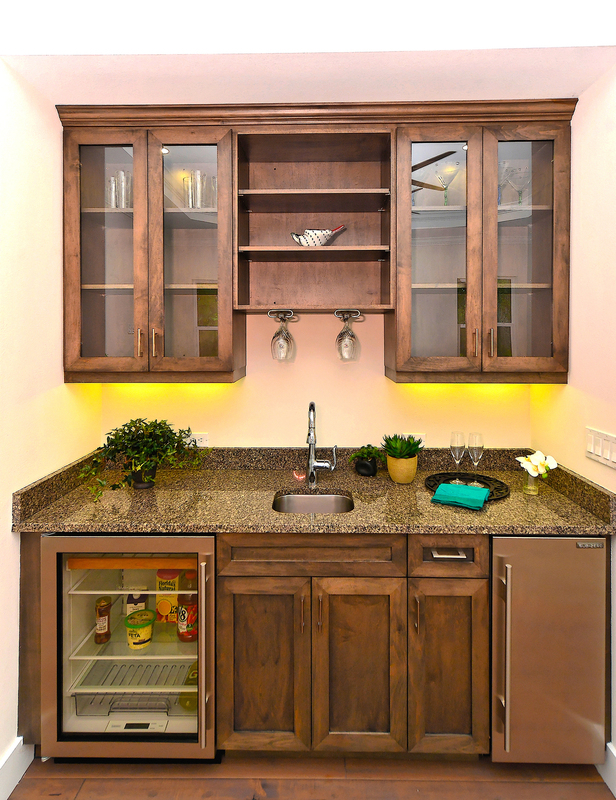 Custom hardwood cabinets and a mix of quartz and granite counter tops provide stylish and timeless kitchen and bathrooms. Impact windows throughout, Icynene insulation and 8' doors are included.